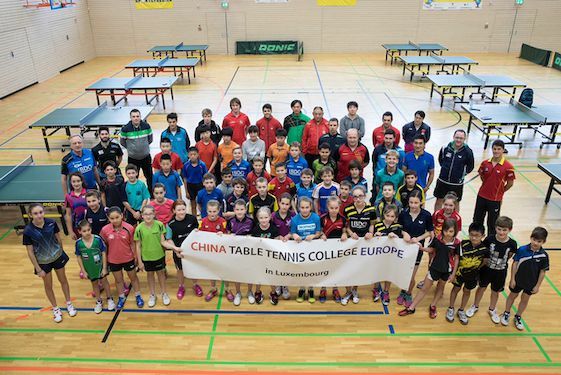 Anna returned from a week in Luxembourg, at the ITTF Hopes Week. She came first out of the Europeans and is now going to represent Europe at the ITTF World Hopes week and challenge,which will be held in Luxembourg in August 2017 10th – 18th. This is Anna’s best ever result. The competition is for the best players from their nations born 2005 or 2006. Anna Hursey (WAL) 141 pts. Feyza Demir (TUR) 130 pts. Laura Kaim (GER) 129 pts. We are very proud to be supporting Anna and she has a bright future ahead of her in the table tennis world! Anna is in the front row third from the right in the photo above.